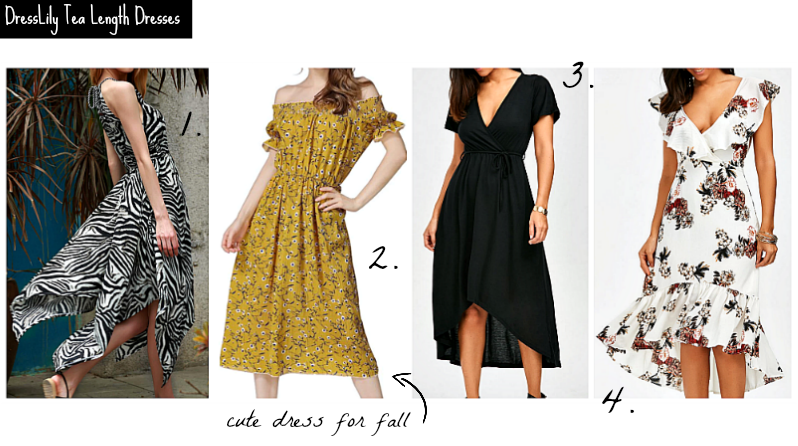 Another day, another wish list post from DressLily. Today, I've curated a few tea length dresses from the online shop. Keep on reading to find out what they are. Dress #2 reminds me of the Michael Kors dress I've been eyeing for, for a whole season. The mustard color complements the beautiful shades of Fall. I would never get tired wearing black. That's why this color (dress #3) keeps on resurfacing on my wishlist. They go with everything and can be worn all year round. If animal prints appeal to you, dress #1 would be the way to go. If not, choose floral prints. They give off a delicate and feminine appeal to the one wearing it. Anyway, if you could choose just one from the list, what would it be? How would you style it? Please leave your answer in the comment section below. I love reading them.